Der Artikel Antoine Brumel (1460-1520): Missa de Beata Virgine wurde in den Warenkorb gelegt. 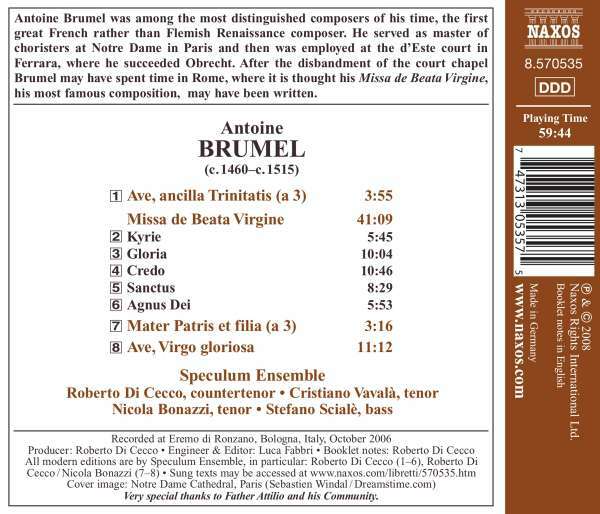 Antoine Brumel was among the most distinguished composers of his time, the first great French rather than Flemish Renaissance composer. He served as master of choristers at Notre Dame in Paris and then was employed at the d'Este court in Ferrara, where he succeeded Obrecht. 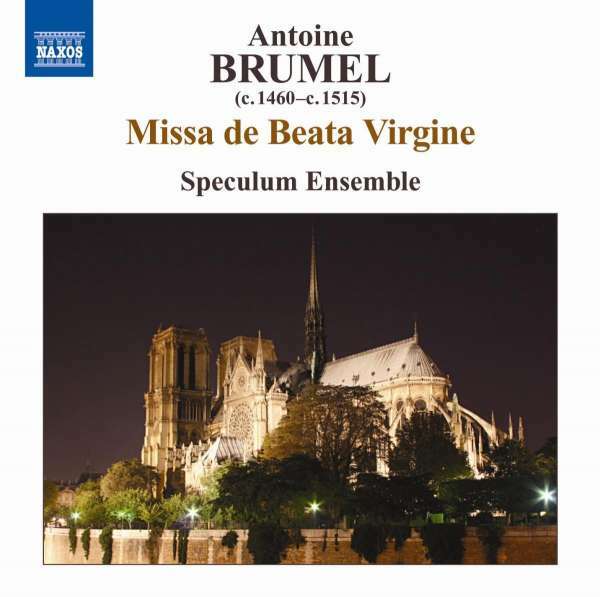 After the disbandment of the court chapel Brumel may have spent time in Rome, where it is thought his Missa de Beata Virgine, his most famous composition, may have been written.